FLINT TWP. — Many who knew Mort Krasner remember him for his desire to see Flint Township grow as a place to do business and as a community to live in. Krasner, 84, the owner of Krasner Jewelers, died Jan. 31. He was born June 27, 1934 in Grand Rapids. The family moved to Flint before his first birthday and his father established Krasner Jewelers over the Kresge Store in Downtown Flint. A member of the West Flint Business Association for 27 years, he is remembered by his colleagues there for his passion for Flint Township. Jessica Lanave, director of the WFBA, said Krasner was committed to Flint Township, so much so he moved his jewelry store here 40 years ago. She said he thought beautification of the community was important and he pushed for years to get Flint Township to do more decorating of the business district at Christmas. Mary Lou Eve of the Eve Insurance Company in Flint Township said Krasner always wanted Christmas decorations in Flint township and thankfully the township was able to do that last year. Eve said Krasner was the recipient of the Don Eve Outstanding Service Award, through the WFBA, a couple of years ago. 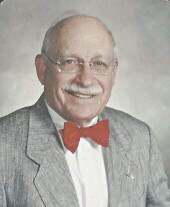 Krasner served on the Jewish Federation Board, was a member and treasurer of the Retired Men’s Federation of Greater Flint (RMFGF), was on the Financial Advisory Board of Flint Public Library, Publicity Chair and Scholarship Committee member of WFBA, served on the original Central Business District Authority (CBDA) Board of Flint Twp. and was integral in the fight to get a Post Office in Flint Township. When the Post Office became stalled, he made a contact with Sen. Debbie Stabenow and together they pushed hard to get it done. Jim Miller of Remax Select, served on the WFBA with Krasner and he said he was someone who was not only interesting to talk to, but he was someone who worked hard to get things done. Krasner graduated from Flint Central High School and from the University of Michigan with a Business Administration Degree (B.A.) in 1956. Sadly, his father died while Krasner was in college, placing the business into Mort’s hands at 22 years old and it became his life’s work. He ran the business during the heyday of Flint and General Motors, but things changed, and downtown Flint could no longer sustain the business. The store moved to Miller Road in Flint Township in 1978 and finally closed in 2003 after 68 years. Krasner married his wife, Judy, in 1976 and together they operated the business for its last 27 years. He attended the Indy 500 race for 31 years with seats on the Start/Finish line. Almost 40 years of season tickets to the Flint Symphony. He loved golf, enjoyed bowling and sponsored several men’s and women’s teams for many years. Lanave said that story, about marrying his wife because he couldn’t beat her in bowling, was a perfect example of Krasner’s sense of humor. “That is just so Mort,” said Lanave. Krasner was a member of the Shakespeare Club of Flint, Masonic Lodge #147, the Shrine and Consistory. As a young man, he was State Treasurer of the Junior Chamber of Commerce and volunteered with the Old Newsboys. He had more than 130 bow ties at last count. Wife Judy said, in his obituary, that family was a great joy, watching his children grow, their successes were his successes. “The fact that he was 80 years old when his first grandchild was born made his life complete,” his obituary said. Surviving are: wife of 42 years, Judy; daughter, Deborah Krasner of Ypsilanti; son, Benjamin and wife, Natalie and the loves of his life, granddaughters, Annabelle and Madelyn of Maumee, OH; cousins, Jack Krasner and wife, Beverley of Winamac, IN, Lee Zendel and wife, Ruth of Rochester, MI and their families; nieces Lori Feldheim, Deborah Feldheim- Levine and Barbara Feldheim-Squiller. Mort was preceded in death by his parents, Benjamin and Miriam “Mary” Krasner and his sister, Myra Feldheim.